The release date for MEIKO V3, along with some of her demo songs have been revealed! 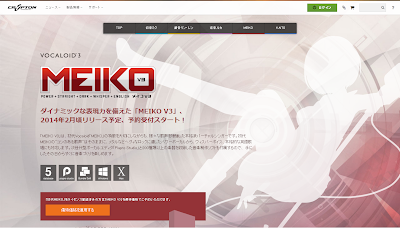 MEIKO's upgraded version to Vocaloid 3 will be released this coming Febuary, 2014. Crypton has also released a few demo songs of her voice bank. 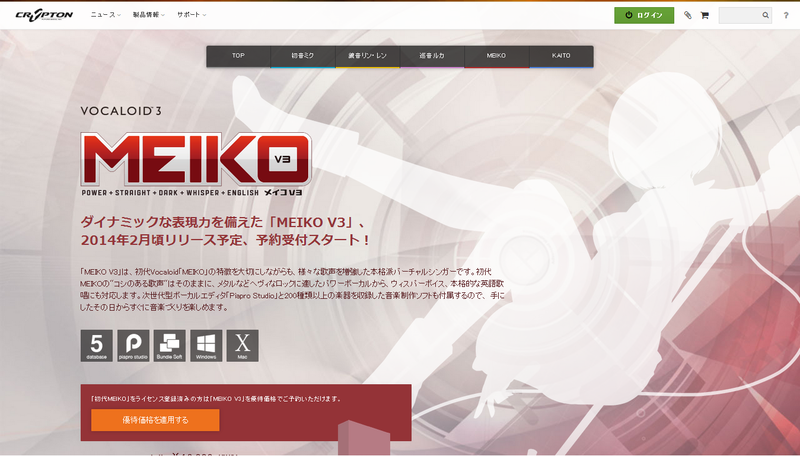 The new V3 MEIKO consists of Power, Straight, Dark, Whisper and last but not least, English.